Few things excite a fifty-something writer more than coming across a thirty-something writer with equal passion who is gifted and poised to further explore the spiritual side of marriage. 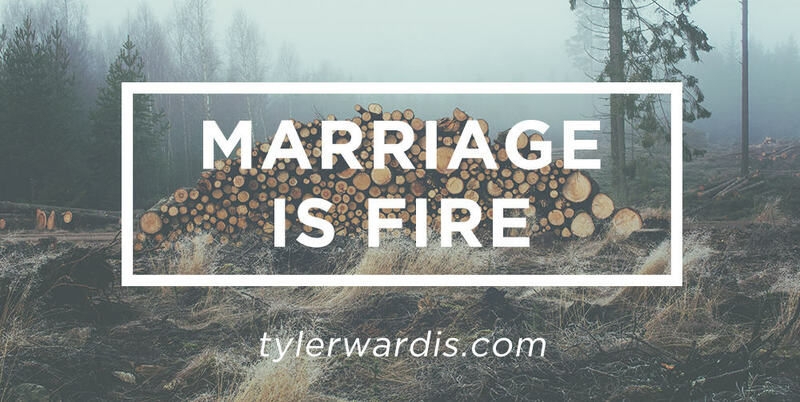 Readers of Sacred Marriage should be poised to embrace the debut effort of Tyler Ward, whose book, “Marriage Rebranded” is released today. I’m honored to include an excerpt from this fine book as today’s blog post: “Marriage is Fire.” It rocks, just like the rest of Tyler’s book. I broke up with my wife twice while we were dating. That often comes as a shock to those close to us, particularly because they can’t figure out why she dated me in the first place. I can’t either. She was everything I wanted—everything I had dreamed of in a woman. Electric personality. Exotically gorgeous. Well-travelled. The uncanny ability to light up a room. A faith that was real and seasoned. The strength of conversation (she kept it going so I didn’t have to). The list went on, and as it did, I became more and more convinced I wouldn’t mind spending the rest of my life waking up next to her. That was it: our dating relationship wasn’t easy. There were people who didn’t support us. There were doubts of compatibility. There were my trust issues that consistently complicated our ability to simply enjoy each other. And all of it was on top of the terrible idea I adopted somewhere along the way that if the Divine was behind the relationship, it would be easy, natural, and stress-free. One month and a couple days into our second break-up, I came to grips with the fact that my ideas about the ease of love were not only getting in the way of the relationship I wanted, but they were also misguided. I jumped in my truck, drove from LA to Nashville in 24 hours, showed up on Analee’s doorstep, and proposed three days later. Why the turn-around? Because love isn’t, in fact, designed to be easy and anything worth loving is worth fighting for. My wife is still my favorite person on earth and marrying her is certainly one of the few intelligent decisions I’ve made in life, but this reality that love isn’t designed to be easy only becomes more real now that we’re 5 years into marriage. I assume that anyone who has been lucky enough to brave the commitment of marriage knows the journey can be hard. And though every marriage comes with its own unique bag of challenges, perhaps there’s a deeper, more universal reason love often comes with its share of difficulty. Ish and Ishshah. I assume these names won’t be topping your list of names for future kids (although they do have a certain ring to them). Even so, they paint a picture about marriage that answers why marriage can be hard. To start, both words are derived from the root Hebrew character esh, which means fire. This means that the original word picture we have for the relationship between a man and a woman is an all-consuming, tireless-in-nature, potentially hazard-creating fire. And though this picture lends itself to the modern concept of heated romance or passionate love, the Bible consistently points to a different purpose of fire. If the relationships between two spouses really is “fire” as the Hebrew language suggests, it would seem its purpose—in line with biblical teaching—is personal refinement, designed to play a significant role in any spouses process of maturity and growth. I can practically hear your protests, but hang with me—the biblical picture gets better. What if the fire (read: conflict) of marriage—as uncomfortable as it can sometimes be—is only a means to an end? Paul the apostle seems to think this might be the case. And he shows us how when he compares love in marriage to the love Jesus shows humanity. Husbands, love your wives, just as Christ also loved the church and gave Himself up for her, so that He might sanctify her [literally, purify her internally by the reformation of her soul], having cleansed her by the washing of water with the word . . . having no spot or wrinkle or any such thing; but that she would be holy and blameless. Consider the implication of what Paul is saying here. Marriage, with all it’s good, bad, and ugly is a tool intent on the personal reformation of each party. Now that sounds like a love worth fighting for. If we think about marriage this way—as holistic healing, deliverance, prospering, and growth for both you and your spouse—it changes the way we feel about the difficult things we have to face because of and in spite of our spouse. We can experience the fires and conflicts of marriage differently by embracing the ancient reality of Soteria—that this unnatural relationship is a sort of Divine tool to help us become more beautiful—increasingly our best and brightest selves. 3. AND HEALING CAN BE HARD. I know the fire of marriage isn’t the recipe for a nice relaxing, easy life. I know that marriage is the greatest source of both enjoyment and challenge we can experience in life. I know, at times, it can demand far more than we feel ready to give. I also know marriage multiplies what we can become—both as individuals and as couples. Marriage, though arduous as times, has brilliant intentions in mind. It’s unapologetically interested in chipping away at our dysfunctional thoughts, patterns, and postures in life and inviting us—and our spouses—to become the best version of ourselves. This vision of marriage takes the expectation off of our spouses to make us happy and re-creates the expectation that our marriage exists to help us grow. It turns our focus from personal fulfillment to mutual personal development. It exchanges our goal of happiness for the far more valuable goal of wholeness. 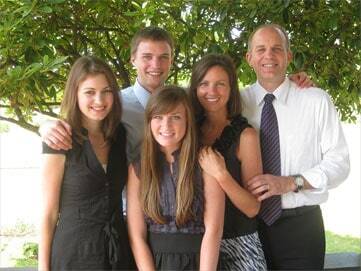 Question: What’s one way you’ve seen your spouse make you a better person, parent, or friend? Tyler Ward released “Marriage Rebranded: Modern Misconceptions & the Unnatural Art of Loving Another Person,” TODAY, where he explores more modern myths about marriage, tells awkward stories, and offers unorthodox best practices that are sure to help anyone write a better marital narrative for themselves. Order it now. Or watch the book trailer here.